There are a number of components here which can cause the driver problems if he is not careful. Trailers are cantankerous devices and will get themselves into trouble given the slightest chance, Because they amble along behind the car, it is difficult for the driver to determine that something is afoot and against all odds they will fail in some way. We hope to redress this situation by developing some means by which trailers can tell the driver that something nasty is going to happen. 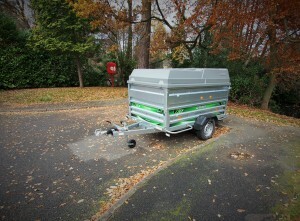 Even our brand new trailer has caused us jip when the winding handle of the jockey wheel slowly lowered in the recent gales. I published ‘Trailer Safety Development Group’ on Facebook to advertise the ongoing work we are doing in developing sensors on the trailer which report adverse events to the driver. 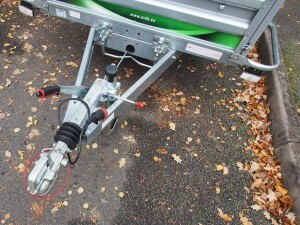 These modifications could certainly make towing a lot safer. The new trailer we purchased for the changes to the trailer test has proved perfectly suitable when coupled to our Octavia. We have accordingly ordered another Octavia and this will be entering service when the new number plates are introduced in March. We considered a 4×4 replacement tow vehicle but their high stance results in the manufacturers requiring such vehicles to have very stiff suspension to prevent them from leaning excessively when cornering. This results in such vehicles entirely unsuitable for prolonged use due to the quality of their ride. Our Clients will appreciate our decision. Will Google Glass cause accidents? A lady in Southern California was recently summonsed for using Google Glass whilst driving. See http://www.pcworld.com/article/2088860/california-court-dismisses-google-glass-traffic-ticket.html The Defendant claimed that she was not operating the device at the time when she was stopped. The Court could not prove otherwise and she was acquitted.